It looks like the pressure was too much for the athlete. Dennis Rodman has checked into rehab after his disastrous trip to North Korea. 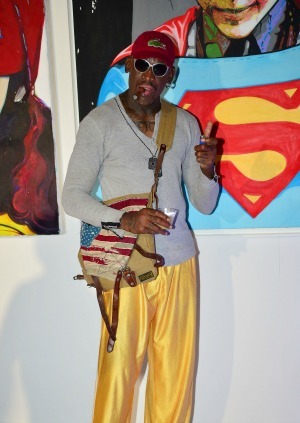 It seems that Dennis Rodman‘s controversial trip to North Korea has taken its toll. After appearing on CNN drunk while insulting political prisoner Kenneth Bae, the former NBA player has checked himself into rehab. Rodman’s agent, Darren Prince, confirmed the news to USA Today on Saturday. Prince refused to comment on Rodman’s location or how long he plans to stay in the rehab facility. The athlete has spent much of the last year making trips to North Korea as a self-professed ambassador between that country and the U.S. However, his missions have been nothing short of public relations disasters — from his exhibition basketball game to singing “Happy Birthday” to North Korean leader Kim Jong Un. The final straw was speaking out against American missionary Bae, who is being held against his will for “anti-state” crimes. Bae is also in poor health, so his family is very concerned about his well-being. While Rodman might be “embarrassed, saddened and remorseful for the anger and hurt his words have caused,” he is just starting to understand that his actions have consequences. Maybe Rodman should choose to be friends with a leader who doesn’t feed his uncle to a pack of starving dogs.